Have you ever wondered, what is the major differentiating factor on smartphones that sets one apart from the other? The answer to the question is the SoCs or the chipsets that power the smartphones. With more and more smartphones getting rolled out each and every year, the chipsets need to evolve too; not just to make a difference between smartphones but to improve performance too. Along with the chipsets, the smartphone manufacturers have raced their way to unleash the potential of AI. By far, their experiments have paid off well and the AI feature has come to a step further from a first gen product to the time where AI is an integral part of our lives. Along with our smartphones, AI is something that a lot of us carry in our pocket unnoticeably. Huawei is one of the few companies that really stand out from the competitors. 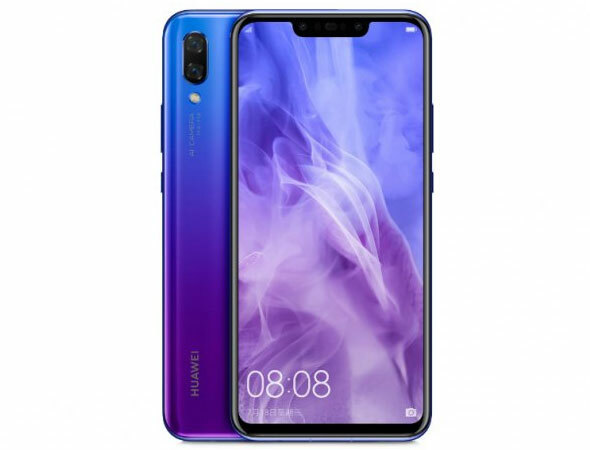 And their newly released Huawei Nova 3 and 3i is one of its kind to bring a superior AI technology to consumers at a relatively low price. Let’s take a detailed look at the one of the unknown yet powerful commodity of the market, the AI on the Huawei Nova 3 and 3i. In fact, the article’s bit detailed (and long) so hope you guys will take a proper look at what both phones have to offer in terms of AI. Huawei’s Mate 10 AI camera being showcased. Huawei, as it is known to be the biggest phone maker in China. Achieving this position says a lot about the effort that goes into the making of their smartphones and at a position this high there is no way that Huawei would have left any effort into the R&D of AI and its applications. The result of all that effort can be seen in the likes of Huawei Mate 10. And for your knowledge, Mate 10 was the first ever smartphone in the world to pack a full-fledged AI processor. The idea was fresh and it was intuitive as ever and the benefits of AI was so clearly seen on the Mate 10, that it intrigued more and more smartphone manufacturers to jump into the AI bandwagon created by none other than the third largest smartphone manufacturers in the world now, Huawei. Artificial Intelligence (AI) or Machine Intelligence might look like yet another marketing strategy from the smartphone manufacturer at the first glance. But the beauty of AI unleashes only when you see it in action. AI is not just machine learning packed with software to assist and enhance the user experience but also a companion to your smartphone that enhances the way your phone acts in several situations. Huawei Nova 3 and 3i aims to unleash the beast of an AI to its full potential. 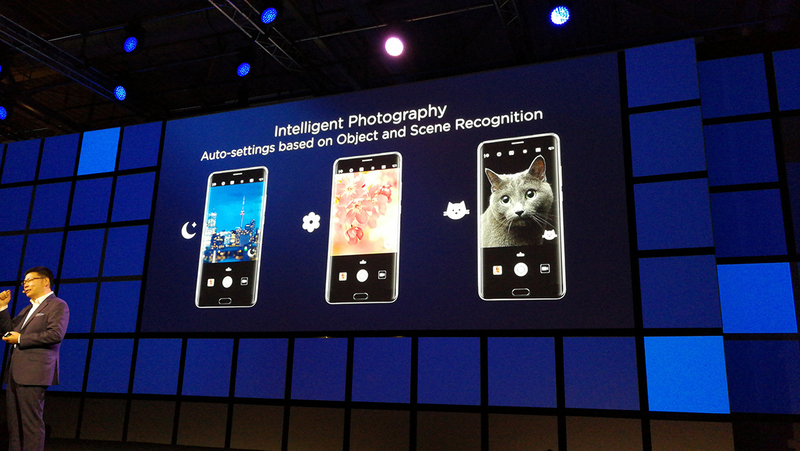 Huawei’s AI for low-light photography. A smartphone, essentially it is a device that we use to communicate, isn’t it? It is important it is for you to stay connected and attend or make quality calls, but the situation gets tougher when your surrounding is too noisy for instance while you’re out on streets, crowded restaurants and areas where there is a lot of ambient noise. This is where the AI of the new Huawei Nova 3 and 3i will come into play with its AI noise canceling allowing you to stay connected and talk your heart out without the crowd bothering you. Not just AI calls, the new Huawei Nova 3 also introduces an AI gallery. Do you also have a clustered gallery where you can’t find a picture that you want to share with your friend or the world in that messed up folder of yours? This is where the new Huawei Nova 3’s AI-powered gallery comes to your rescue saving you from the embarrassment you have while going through all this hustle and bustle of treasure hunt in your gallery. What it does is that it arranges the gallery by grouping the photos into categories which makes it arranged in a manner that you can easily find that very photo with ease, ready to be shared with whomever you feel like sharing it with. Huawei’s CEO Richard Yu showcasing what the Kirin 970 chipset is capable of. 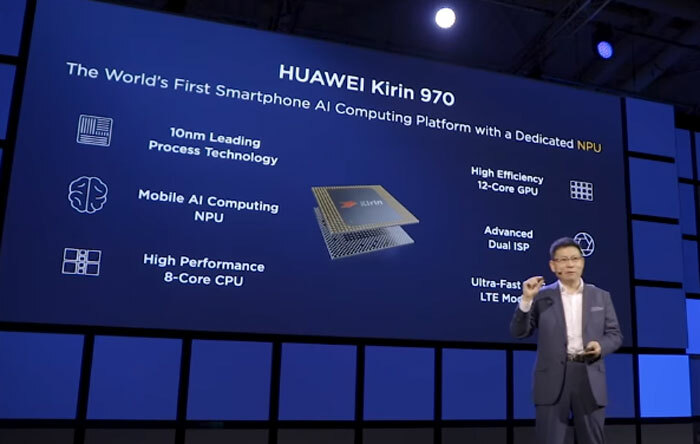 Leveraging the years of expertise and insights into AI, Huawei created the world’s first discrete NPU to work along with their in-house chipset, Kirin 970. This awesome combo was firstly made available to the customers owning the Huawei Mate 10. 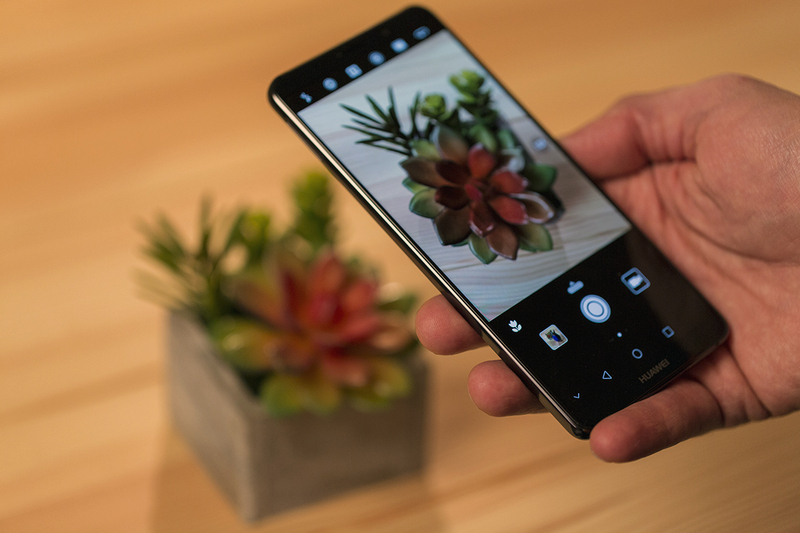 Powered by the AI processor within, the Huawei Mate 10 Series devices never failed to impress the owners, providing them with top-tier experience across different AI applications. It is said that the upcoming Huawei Nova series will also be getting a SoC that packs AI capabilities, which will enable the users to enjoy enhanced photography, shopping assistance, image recognition, and what not. The Kirin 970 chipset comes with its dedicated AI processor. With AI becoming the trend nowadays, more and more devices are coming up soon. The evolution of AI is really breathtaking, isn’t it? With all the research and development around AI, we can only wonder what changes it will bring in the way we use our smartphones. Before the smartphones had even started putting a front shooter for selfies, Casio used to be the name that was heard in terms of compact cameras that people used to click selfies with and the forte of Casio cameras was that they had implemented an in-built beautification. This was the time when the selfies really intrigued the people and starting with just a resolution of a mere 0.3MP, people were astounded with even a 5.0MP selfie shooter. Yes, it was the case a couple of years back and now, in 2018, the 20MP front camera is the new trend and norm. Before the launch of any smartphone, there’s a game of rumors that buzz around all over the world. Talking of which, the new Huawei Nova 3 and 3i are fitted with a dual camera on the front as well, among which the primary camera is supposed to be a 24MP shooter accompanied by a 2MP depth sensor for capturing crispy sharp images and with the help of a second depth sensor, you’ll be able to achieve portrait shots via the front camera as well. This combo is something that will bring along better image quality or to be precise, the images taken by the front cameras can be printed out in various sizes from 24-inches (300ppi pixel density) photos all the way up to 98 inches posters (72ppi) without much of a quality loss even on the larger prints. In this era of smartphones when point and shoot cameras are almost gone and smartphone shooters have taken the lead, Huawei’s new Nova 3 and 3i are taking it a step further, competing for head to head with the DSLR cameras. The Huawei Nova 3 and Nova 3i comes with AI beautification mode. One thing that a lot of us get confused at is that the bigger the megapixels count, the greater the photos will turn out to be. That’s true to some extent but not always because of that one big reason called beautification and this is the feature that got us addicted to selfies in the first place. Beautification started as simple algorithms that whitened the subjects resulting in the loss of skin tones, making you look like a plastic mannequin. Nonetheless, the selfies that they took were sear garbage town but the time has changed. Now we can see AI has taken a step in the ride, this game has been upped marginally. The fact that Huawei never lets us down, a lot of which is with the help of R&D they do to reach out the farthest corners leaving almost no room for improvement. With that said, how can selfies be missed by Huawei then? 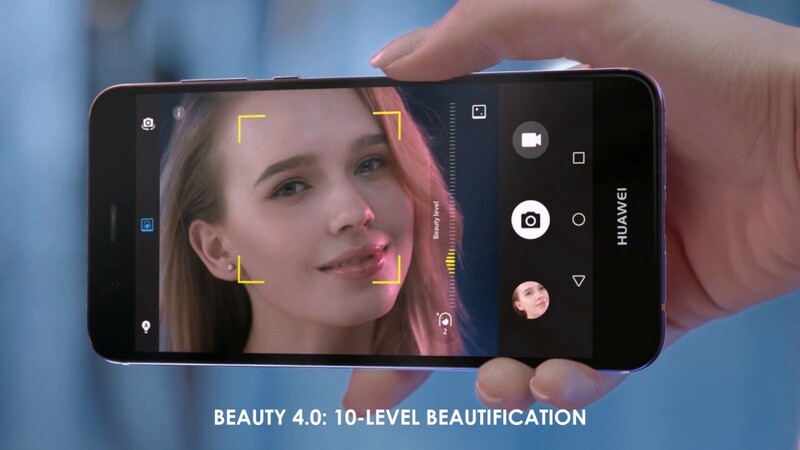 From establishing a dedicated subject oriented Selfie laboratory to surveying on how their customers define beauty, Huawei has thrived for excellence and the results were collected to improve the beautification algorithms putting Huawei’s selfie game a mile ahead of its contenders. 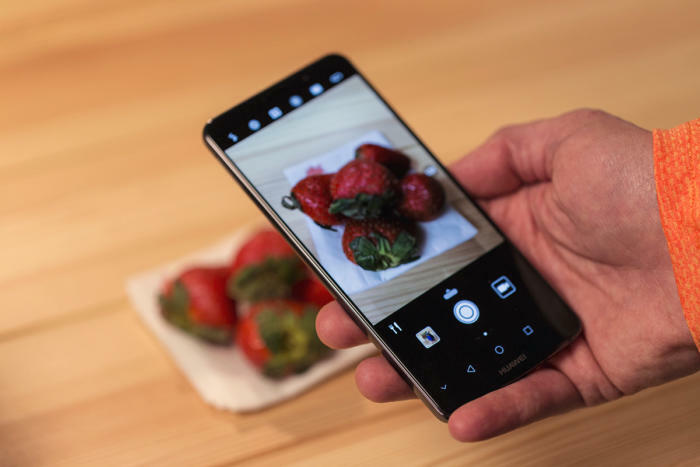 Huawei’s AI Camera software detecting food. Image: Huawei. What contributes to a great photo? The ambiance, highlights, shadows, and exposure are the most common answers. In selfies too, a lot of the manufacturers tend to forget that people often click selfies when they have a great background. As a result of which, more often than not your selfies are either underexposed or overexposed ruining the overall image. Huawei hears, and if this is the problem with your selfie shooter too, relax Huawei’s new Nova device has got you covered. Both the Nova duo will come with AI-powered HDR mode and eight different scene recognition for the background that includes Blue Sky, Beach, Plant, Night, Stage, Flower, Indoor, and Snow, it makes each one of your selfie optimized to the type of surrounding you’re in. If these eights scenes aren’t enough for you, don’t worry more and more modes will be coming up down the line. Time flew and we have already passed our mid-way through 2018. Taking some time to look back at the past six months of this year, the trend of the bezel-less smartphone is now shifted to AI. With every single manufacturer trying harder and harder to implement some sort of AI onto their smartphones but only in terms of some software algorithms. Out of the many assistive features provided by AI, photography is the apple to everyone’s eye. 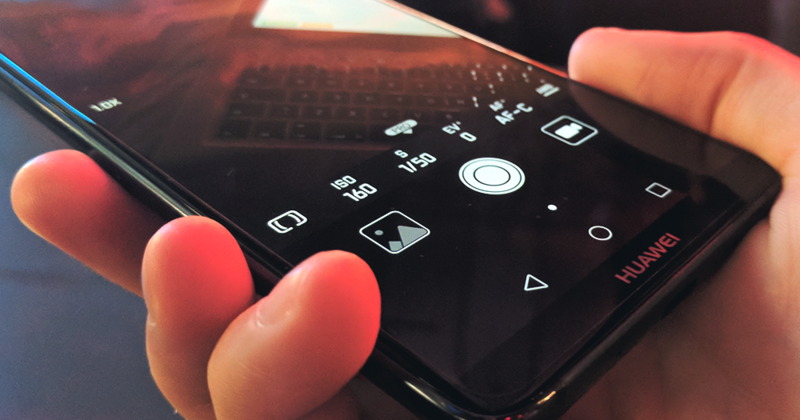 It’s pointless to argue with the fact that we all click pictures on our smartphones most of the time so just imagine what changes AI can make in your mobile photography game. The fact that contributed most to the evolution of AI photography is that most of us click pictures on Auto mode. And this is what manufacturers are trying to be perfect at while also wanting that first-mover advantage. Today, when this argument of brand loyalty is a thing, the criticism of smartphones are really high. To add to your knowledge, modern-day smartphone cameras can be categorized into three groups’ viz. the Chipset Group, the Camera Group and the Algorithm Group or the Software Group. 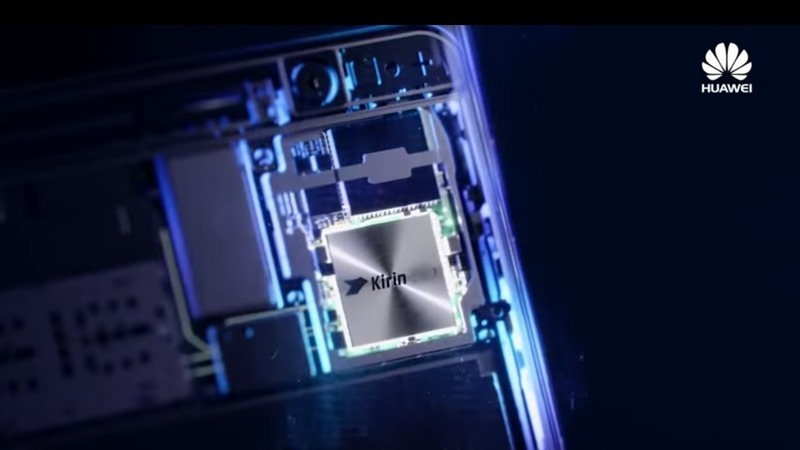 The Kirin 970 chipset is the first ever to come with a dedicated NPU. Due to the number of calculations that goes into making an AI chipset work, the list is really narrow as not a lot of manufacturers provide a dedicated and powerful chipset for AI. An AI chip enhances the images that you take and reduces the processing time your smartphone usually takes to process an image. In addition to that, these dedicated AI chipsets are programmed for machine learning based on your usage, which means your device learns from YOU. 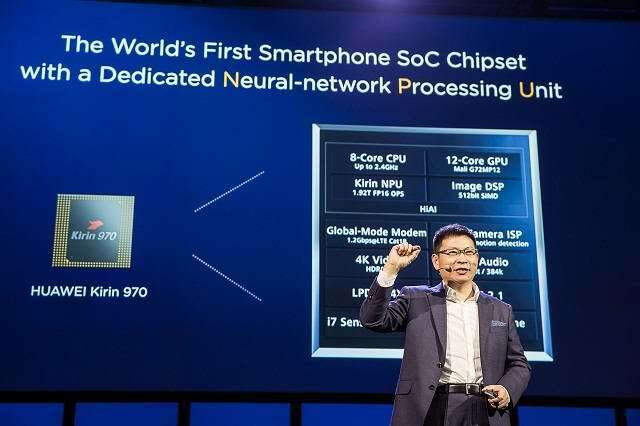 Apple’s A11 Bionic Chip and Huawei’s Kirin 970 are the names that come up when it comes to dedicated AI processors but the Kirin 970 edges out with the addition of a dedicated NPU for image processing. If there’s one phone that could testify to the entire group, it is the Google Pixel 2. The device that combines cloud computing and algorithms to process AI photography and videography processes. 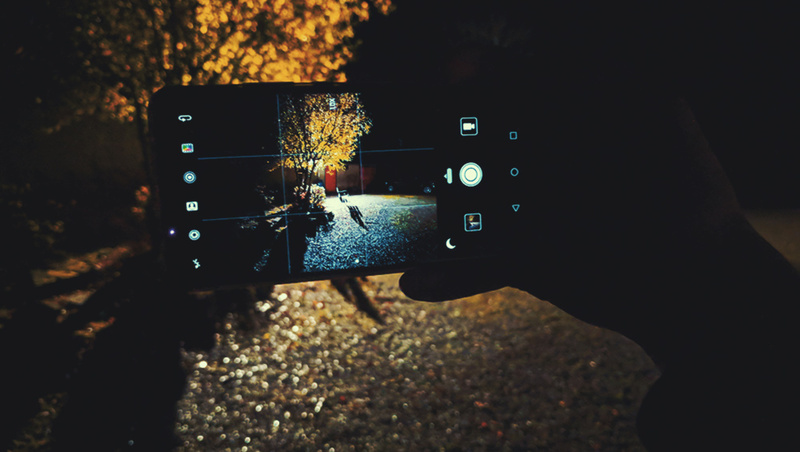 Pixel 2’s secret in being the most preferable shooter among most of us is the software algorithms and the AI image processing unit used in order to process an image. Combined together, this setup compensates for the fallbacks of the smartphone camera. At first glance, this might seem great but because of the cloud computing involved, the data security issues is something that the users need to keep in their minds. Most renowned Chinese manufacturers fall under this branch of phones with software trickery up their sleeves. This trickery requires them to improve CPU and GPU performance in order to compensate for the lack of AI. Most of the times, this trick can be seen in the apps that users mostly use. However, the difference between a dedicated AI hardware and software combo beats the software by a huge margin. And to say the least, this software approach to get things done definitely shows its downside. The Huawei Nova 3 with a flagship SoC is capable of handling AI recognitions and computations and is also capable enough to even rival today’s premium devices as well. If mobile photography is your thing, the new Nova 3 is something you should look forward to. Besides the SoC, the new devices boast an improved quad-camera setup, with the front cameras getting a 24MP + 2MP pair. With these setups, the new Nova 3 is considerably attractive choice than the Vivo X21 making it a hard sell. The rear camera setup is paired with 24MP primary and 16MP secondary shooter which will definitely put up the Nova 3 and 3i head to head with the flagships out there in terms of photography. When it comes to images and photography, there is no point in denying that AI is the future and the future has come. Our preferences of images may be different and hence there’s no such phone that can be said as the best camera phone as of now because the tiny image sensors have a lot of polishing up to go through. To sum it up, both the Huawei Nova 3 and Nova 3i some of the most powerful smartphones on the market and with Huawei putting much more effort into its Artificial Intelligence (AI) technology, both phones are expected to perform exceptionally well in overall department. With both phones on the verge of its launch in Nepal, we are excited to get our hands on these beauties with beastly specs. Smartphone gaming and how will the new Huawei Nova 3 and 3i fare?